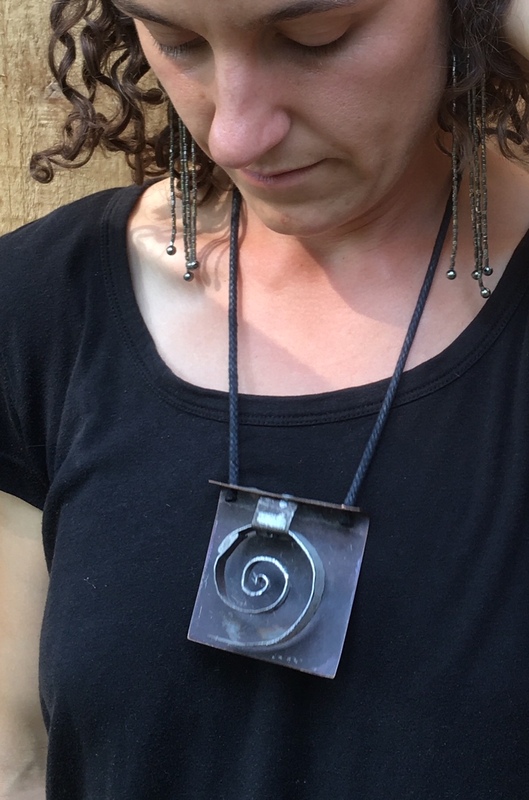 Much of the jewelry is made from old roofing from my husband’s organic farm. *Beware. Some of this jewelry is dangerous. Edges are sharp. Scarves may be caught up in them. If you'd like to inquire about purchasing a piece of jewelry, call me at (240) 793-5425 or fill out the form on the Contact Page.